Get set for inspirational sights and cultural delights as Black Watch takes in the highlights of Morocco, Spain & Portugal. Countless landmarks await in Casablanca, then onto Cadiz before sailing to Portugal. 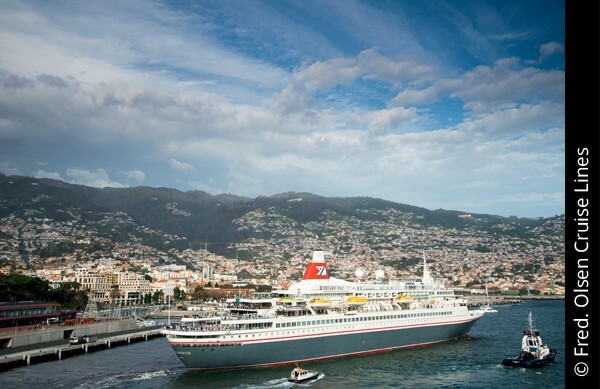 Youre in for inspirational sights and cultural highlights galore, as Black Watch takes you to diverse destinations in Morocco, Spain and Portugal to reveal countless must-visit attractions in a collection of magnificent cities. After a relaxing sail south from Liverpool, enjoy five-consecutive days filled with highlights including interesting museums, ancient and architectural wonders, world-famous religious sites and much more besides. You can climb the iconic rock in Gibraltar; marvel at Casablancas majestic Hassan II Mosque, or tour to magical Marrakech; enjoy traditional tapas in Cádiz, which is also your gateway to Jerez  sherry capital of the world; and uncover the monuments and landmarks of Lisbon and Oporto in Portugal. Make your way to Liverpool and board the ship in the early afternoon. Relax on board the Black Watch. 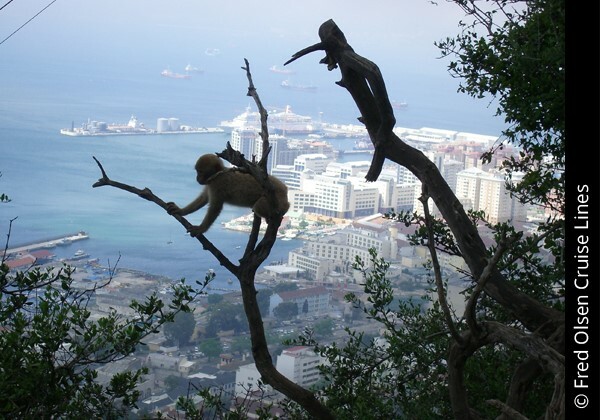 Gibraltar, on Spain's south coast is dominated by a 426m-high limestone ridge: The Rock. The Rock of Gibraltar is a sentinel that guards the Straits, and the overtly-British town nestled between the European and African continents. Its atmosphere is all the more familiar due to its helmeted policemen, red pillar boxes, fish and chip shops, traditional pubs and Marks & Spencer shops. Casablanca is a large, cosmopolitan city, but the former French colonial post still offers those who visit the medina and Old City a taste of the past. The biggest city in Morocco with chic bars and a wide choice of stylish restaurants Casablanca often has a southern European feel. The Old Medina is small, but the crowded streets and tiny, overcrowded shops are an explorer’s paradise. The attractive art-deco Ville Nouvelle is a legacy from the city’s French past, and the enchanting Rialto Cinema is also worth discovering. Casablanca’s Jewish Museum, the only one of its kind in the Islamic world, offers excellent exhibits of Morocco’s ancient synagogues, cemeteries and other Jewish landmarks. However, it’s the breath-taking Hassan II Mosque that dominates the city. Built on a rocky outcrop, it can accommodate over 25,000 worshippers inside and another 80,000 in the courtyard. The 210m minaret is the tallest in the world: from the top a laser beam points the way to Mecca at night. Guided tours can be made of the vast and impressive interior. The city’s bridges include the Ponte 25 de Abril similar to the Golden Gate in San Francisco and the Ponte Vasco da Gama, which includes over 11km of viaducts. Lisbon’s many fascinating museums, include the Calouste Gulbenkian Museum, the National Museum of Contemporary Art, the National Coach Museum and the Carmo Archaeological Museum. Lisbon is also a shopper’s paradise, with the Centro Commercial Colombo the biggest shopping mall on the Iberian peninsula and the elegant Avenidas Novas, full of upmarket shops. Alternatively, there bargains to be had in the local flea market, Campo de Santa Clara. Don't miss the chance to sample iconic egg tarts at Pasteis de Belém too. Oporto sits deep in the gorge of the River Douro and on the riverside dominated by the two-level Luis I bridge it’s possible to look up at the narrow old town streets climbing out of the valley. Pastel-fronted houses with red-tiled roofs line the streets, mixed with neo-classical buildings and wonderful baroque churches. Dominating the centre of the city is the fortress-like Cathedral, which is worth visiting for the views alone.Stretched across its seven trademark hills overlooking the River Tagus estuary, Portugal’s hilly, coastal capital city of Lisbon, is a cinematic collection of cobbled alleyways, pastel-coloured buildings, ancient ruins and white-domed cathedrals. Decimated by an earthquake in 1755, modern Lisbon has been shaped by that eventful day. The Pombaline architecture that now defines the city represents some of the first seismically-protected buildings in Europe. Enjoy your last day on-board.